Crossland Heavy Contractors was established in 1993. With us from the beginning, Mark Sell has been instrumental in our success. Today, Crossland Heavy Contractors is an industry leader in heavy civil and industrial construction, wastewater treatment plant construction and rehabilitation, pump station construction and rehabilitation, site development, and transportation. Other areas of expertise include water, sewer, and storm utility work and parks and recreation projects. Mark earned his Bachelor of Science degree in construction management from Kansas State University. 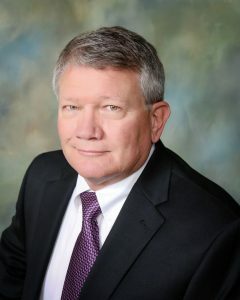 In his role as president, he oversees Crossland Heavy Contractors’ operations, financial management, and legalities, and pursues continued company development.